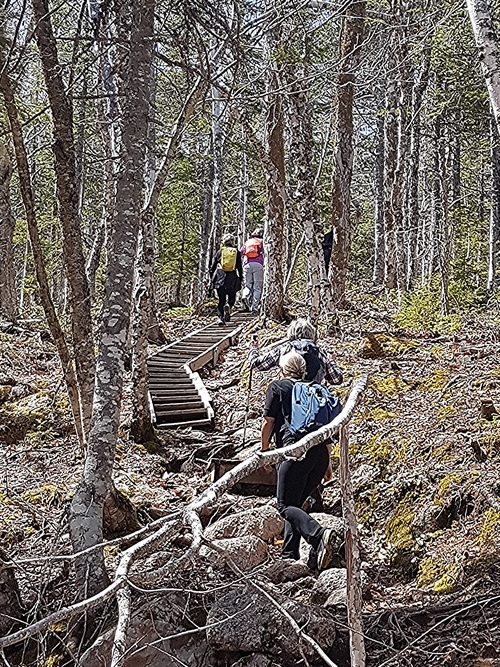 The Franey Mountain hiking trail is one of the most challenging hikes in the Cape Breton Highlands National Park. 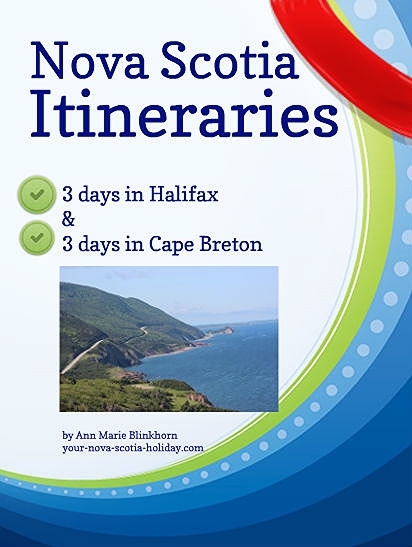 It is a hike to the top of a mountain that will treat you to a fantastic view of Cape Smokey, the Highlands, North Bay and South Bay Ingonish, Ingonish Island and Middlehead. Directions: This trail is about 10 minutes north of the Ingonish Visitor Information Centre (VIC) for the Cape Breton Highlands National Park. 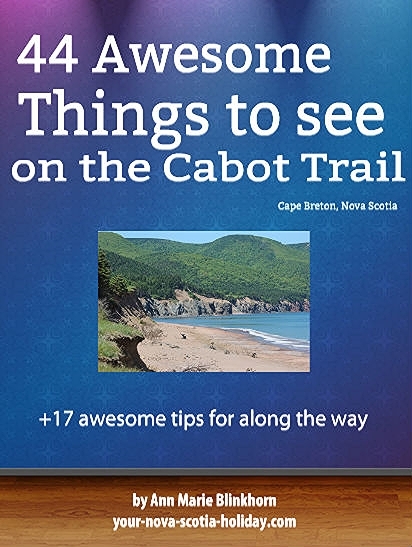 You will be on the Cabot Trail. When you are in the VIC make sure you ask for a map of the park. This map will show you where all the hiking trails are located. Look for #22. You'll need to pay an entrance fee to the park. The fees are very reasonable and you'll need to pay a fee even if you are only staying a day. GPS at trailhead: N 46o 39' 38.8" W 60o 25' 22.1"
Food/Water: Water is always necessary. 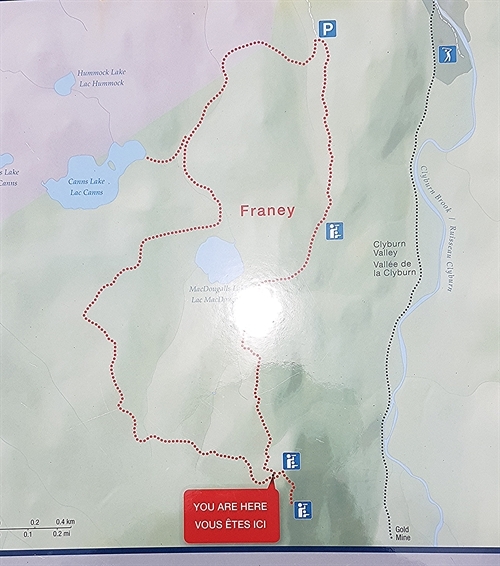 There are no picnic facilities on this trail, however, the top of Franey is a great place for a picnic. Light snacks are also a good idea. Clothes/Accessories: A sweater or light jacket as it can be very windy once you reach the top; hiking boots; walking pole; insect repellent; binoculars and a camera. Facilities: Pit toilets at trailhead. You will start your climb as soon as you start the trail. The trail is very well maintained and does have several sets of stairs. Watch your footing as you climb as there are lots of tree roots and large rocks along the trail. I don't recall any times during the ascent when I was not actually going uphill. So be prepared! Look behind as you get higher. 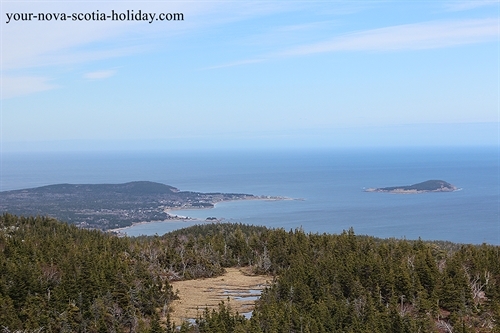 You'll start to see partial views of the ocean, Middlehead and Cape Smokey. 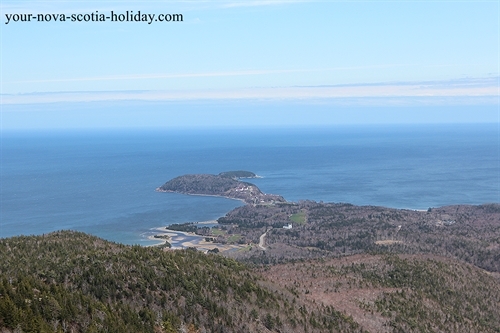 This hike is quite special because you can see all of the Ingonish area from the many vantage points. There used to be a fire tower at the top but Parks Canada removed it. This is unfortunate as the Tower was used as a marker point by the local fishermen. Take your time and enjoy the view once you reach the top. Try to do this hike on a sunny day. You'll be able to see further. You'll be able to find the fire access road quite easily. This will take you back to the trailhead. I found the walk back a bit long but it is certainly a lot easier than the climb. I was with a group from Hike Nova Scotia when I hiked this mountain. A truly fantastic hike. 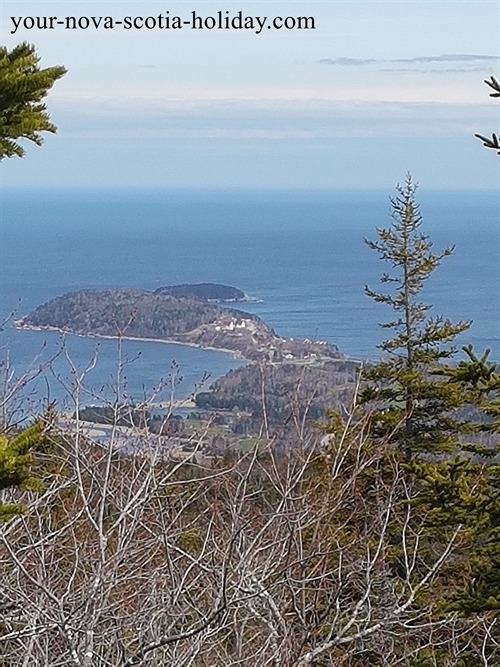 This trail is located in the heart of the Ingonish area which is located on the Cabot Trail. The northern part of the Cabot Trail is in the Cape Breton Highlands National park. This is a fantastic area for spending some vacation time. 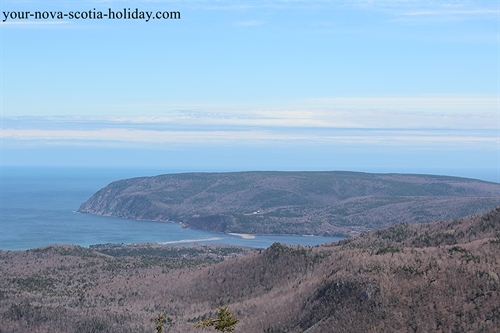 Have you hiked Franey Mountain?